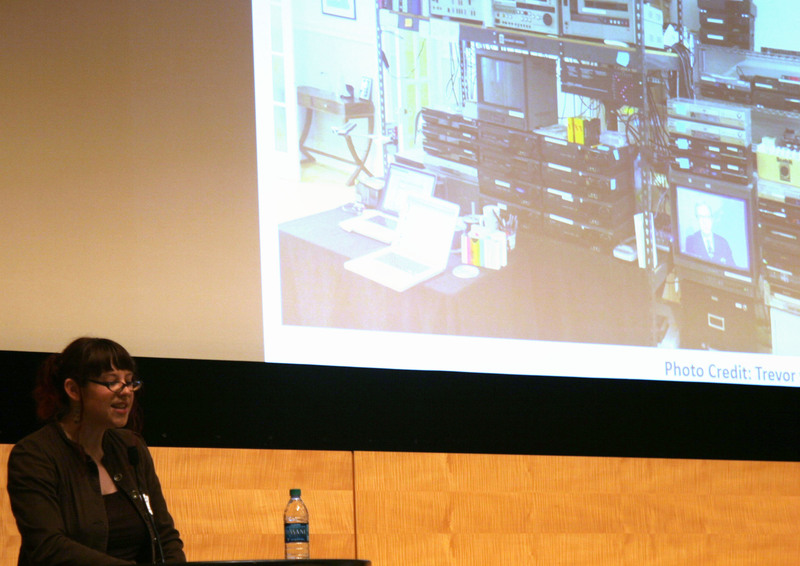 Michelle Krasowski, Administrative Coordinator and Librarian at the Internet Archive, specializes in collection development and audiovisual digitization. She described how the Archive approaches its mission of “for everyone, forever, for free.” The Archive provides a toolkit and user interface for communities and citizen archivists, like the Ohlone Profiles. She pointed out that creation of content by the public is outpacing preservation and thus the Archive focuses on access, storage, and machine learning. Any post-processing is the donor’s responsibility and they aren’t working on format transfer. Content is more important than the quality of reproduction. Take a look at the Dope Tapes and AIDS Tapes for an example of fuzzy television broadcasts recorded on a VCR in super long play that are irreplaceable for capturing twenty years of media coverage. Michelle and the Archive welcome collaboration with libraries on projects like equipment sharing and trading, maintenance training, spare parts, manuals, funding, and accessibility of future media formats. Al Bersch, shared his perspective on community-assisted collections from his vantage point as Digital Projects Coordinator at the Oakland Museum of California, board member of the GLBT Historical Society, and Community Representative for the Digital Public Library of America (DPLA). Keeping an open channel of communication about collections metadata is a challenge. Subject expert knowledge can be trapped in internal databases and there is often no way to contribute information online. Al likes the Brooklyn Museum’s crowdsourcing where online viewers can contribute tags; five or more votes adds or deletes a label. The OMCA is trying something similar in geotagging the Andrew J. Russell Transcontinental Railroad Collection; however, integrating the tags back into the museum’s catalog records is tough. “Loss of control of collections” is a common concern for leadership. They worry images will be used for profit or negative portrayals and that the institution will lose revenue. 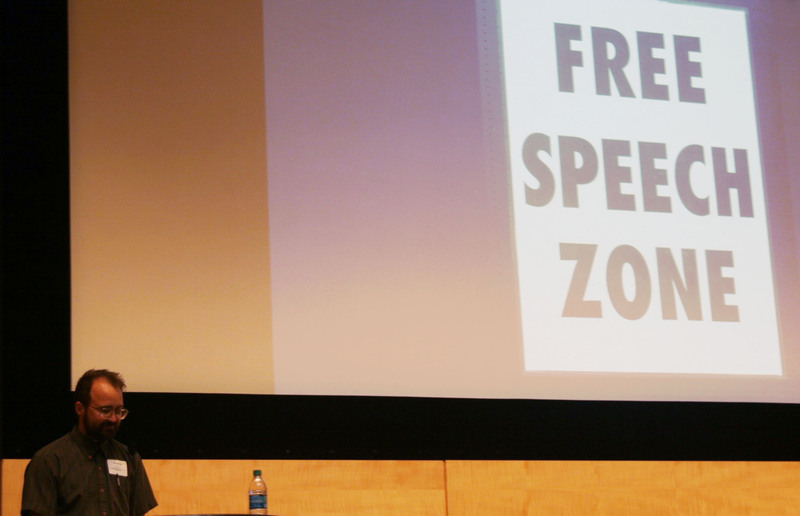 Al warned institutions against operating out of fear: they won’t lose money. He also encouraged us to be critical of the role our institutions play in our communities. For instance, in a gentrifying downtown, grants to cover reduced admission to local residents might end up subsidizing people who can already afford it. Al’s presentation includes some stimulating questions to get us thinking about the “legacy of aggression and power” affecting what has been collected, who has been exhibited, and how we interact with communities now. He reminded us that communities should be as involved in the preservation and care of their collections as their exhibits. Geoffrey Skinner’s lively presentation shared amusing and enlightening lessons learned as head of Cataloging and manager of the historic collections for the Sonoma County Library system. For instance, you can’t take hi-res pictures with your Barbie Cam. Scans of photocopies of photographs will never look good and good scans still need good cataloging. On the other hand, do you really want everything with that? How much metadata is useful and practical in its upkeep? Use the right tools for the job and keep in mind the likelihood that someone else has encountered the same problem and already developed a tool to solve it. Jon Haupt, manager of the Healdsburg Branch and Sonoma County Wine Library, described the unique circumstances of connecting industry, enthusiasts, and the public in the heart of a wine region. 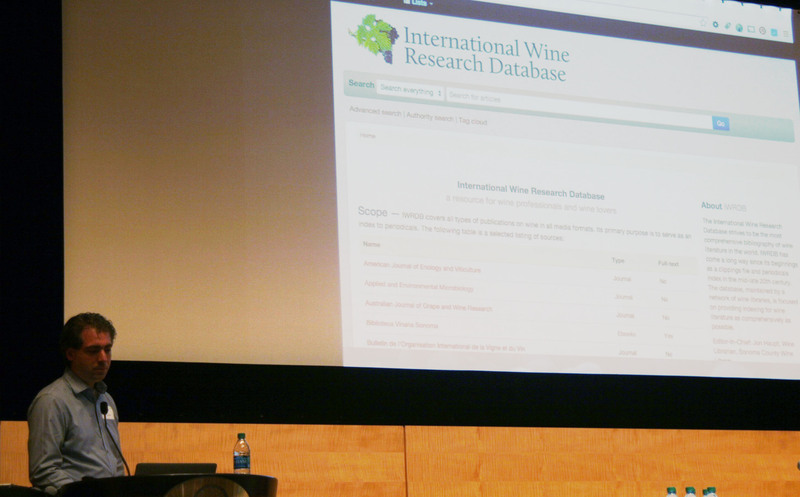 To meet their needs, he helped create the International Wine Research Database (IWRDB), a bibliography of wine literature that began as a clippings file and is now stored in Koha. Jon has been working on collaborative approaches to indexing and harvesting data, to various levels of success. Many institutions are interested in sharing costs yet unwilling to be the first to say yes. Trade publications are also strapped for cash and resources and are reluctant to help a project they see as competition. One success is the new International Association of Wine Libraries (IAWL) which forms a channel for communication among institutions. 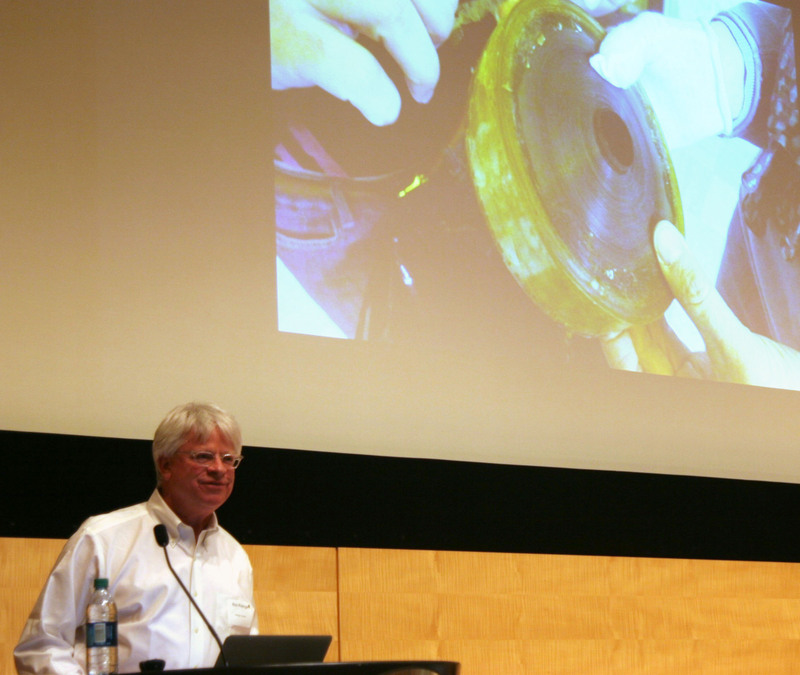 Like many community groups, Rick Prelinger collected his film reels and other ephemera too quickly to worry about workflows in the beginning. He and his crew are still learning about metadata at the Prelinger Archives. As much as people worry about old film stock degrading. Rick’s big problem is “infinity:” there are so many personal records and home movies and they are “granular, inconvenient, and uncharismatic.” Films are hard to appraise, often poorly labeled and shot. Digitizing is the easy part once you have the equipment. Everything else is demanding: preparation, metadata, linking files, quality assurance, and storage. Hardest of all is maintaining the personal relationships that support workflows. Rick likes assigning tags for metadata. He is confident that uncontrolled vocabularies will converge towards a controlled system. 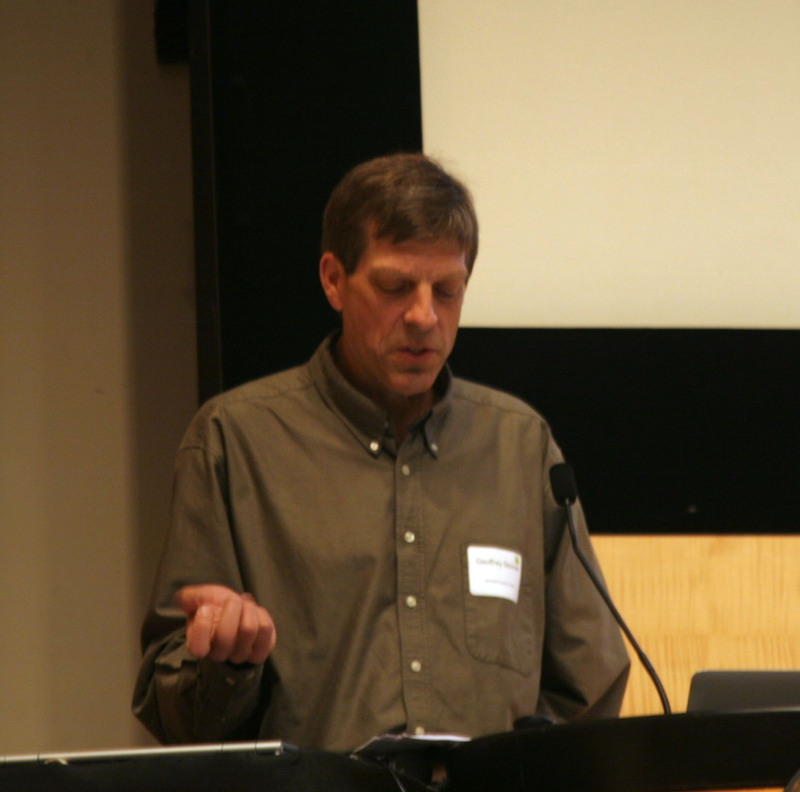 Rick hosts participatory viewings of home movies where audiences are encouraged to offer details and context. Public events are a means, not the end: they involve, youth, emerging makers, and paraprofessionals in the process and break down generational and ethnic divides. After the event, many attendees joined tours of the San Francisco Public Library History Center, the GLBT Museum, and the Tenderloin Museum. See photos of the Tenderloin here. Please add your memories and reactions below. Feel free to send photos to nctpg1@gmail.com.